With all of the great clubs teams, societies, organisations and informal social events at university it can be hard to find time for what you are actually there to do – study! Don’t wait until it is too late to try to find some time in your busy schedule to hit the books, so start each term as you mean to go on. Peruse these time management techniques and you’ll soon come to realise that there is plenty of time to do everything you want, and even open the books that you don’t. Cleaning and doing other chores. Working out at the gym or running. Waiting (in line, for appointments, etc.). Playing video games or surfing the ‘Net. Reading magazines or for pleasure. Commuting to and attending lectures and labs. Studying independently or completing group work. Completing commitments to teams, clubs, etc. Calling a halt to research in order to begin writing an essay. Having a friend proofread an assignment. Organising a study group for an exam. 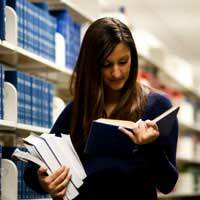 Obtaining and studying past exam papers (if allowed at your university). Writing out a final review sheet to study. Walking outside for some air. Checking email (since you will NOT be doing this during study time). Picking up a book or magazine for a change of subject. Engaging in a brief yoga routine. Getting organised and planning ahead are two key components of finding time to study. When you know what is expected of you and you can calmly plan out a schedule for achieving it, you will be amazed by what you can accomplish.